Small - $33.99 Only 1 left! There is just something about morphsuits that really help people cut loose. It’s like, once you slip into one you become carefree and look to have as much fun as possible. Maybe it’s because you’re covered from head to toe and without being able to be identified, a truer sense of self rises up and takes control… Of course, it could also be because morphsuits are so much fun to wear so they make everything better. Who knows? It’s just one of life’s great mysteries. These skin tight, full-bodied suits are also a great addition to Halloween costumes. 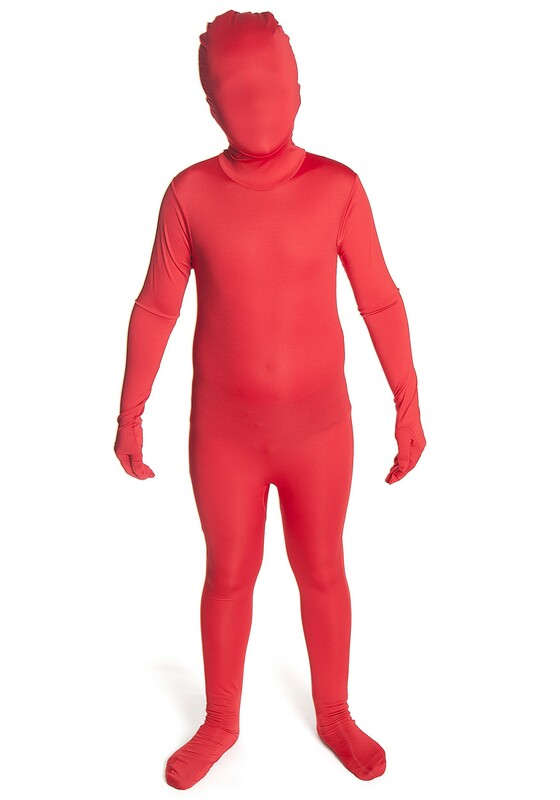 If your kiddo is planning on being a little devil or wants to create a superhero costume from scratch, get your hands on this child size Red Morphsuit. It will be a perfect addition to those costume ideas and many more! Of course, your little one could also enjoy trick or treating around the town with nothing but this goofy apparel and get plenty of laughs along with his candy.